« Changing Habits–Everyone’s Doing It! Well, not in the habit, of course. I haven’t been a nun for many, many years. But the principle is the same. 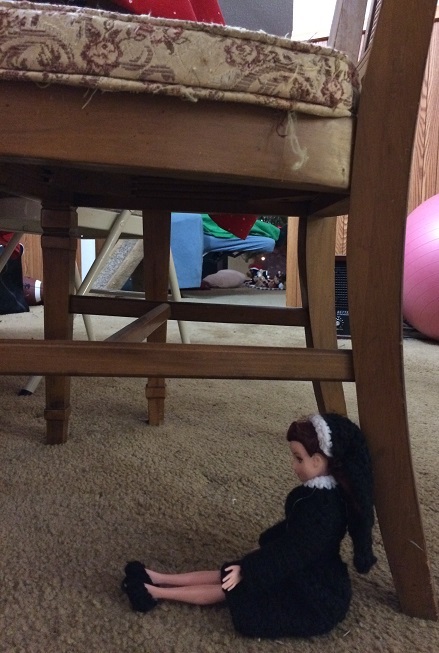 However, I’m thrilled to report that reviews from both Publisher’s Weekly and Suspense Magazine are enough to get that little nun doll dancing on top of that chair! Publisher’s Weekly says it’s a “solid start to a series relaunch” with an “exciting and suspenseful climax.” You can read the whole review HERE. … Brilliant, funny, a great whodunit; this is one writer who readers should definitely make a ‘habit’ of.